Textured nail polishes are always fun to discover. 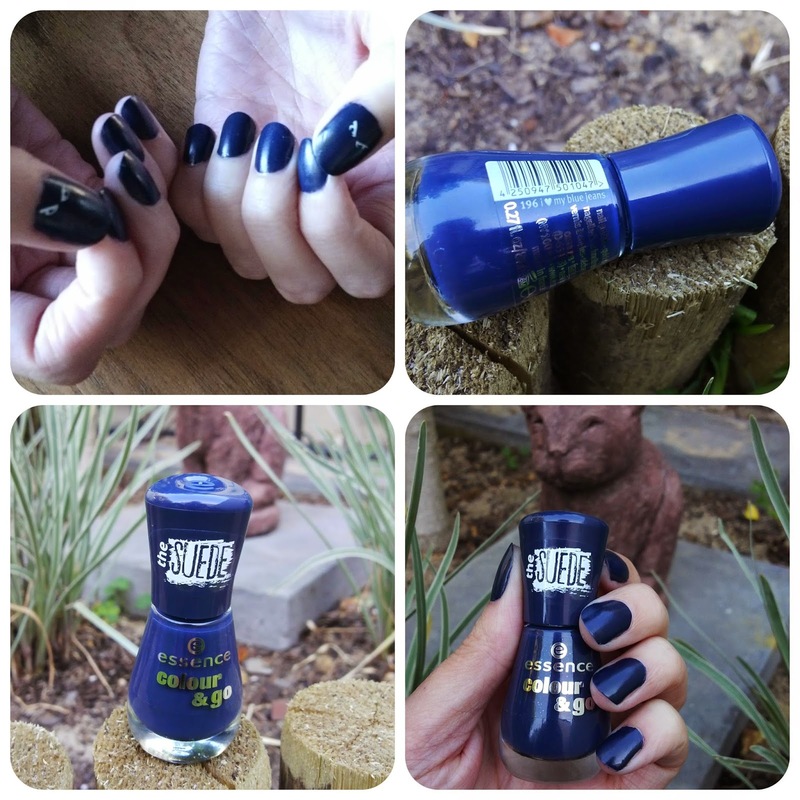 Recently my sister bough a suede effect nail polish from Essence. I think this colour and the effect is perfect for Autumn / Winter - 'I love my blue jeans". Essence really has fantastic on trend nail polish colours and the affordable price tag makes them a necessity in everyone's nail polish collection. Sam also recently started playing around with Essence's stamping kit - the kit is around R55 from Dischem and Clicks. You can see the "Bad Boy" eyes on her thumb nail above. The stamping kit and accessories that Essence makes are really good and affordable to play around with. I'll ask Sam to compile a post to share some more information. It's such a gorgeous blue ! Wow ! You have to tell your sister to check out the new gel Essence polishes... They are great .